Most learners of Chinese soon realise that available dictionaries have some serious problems. This is mostly true for Chinese-English (and English-Chinese) dictionaries, but it’s also true for Chinese-Chinese dictionaries (in short, they don’t work very well for learners). This article isn’t about the problem itself though, but how to overcome it. If you want to read about the issue, I suggest you head over to Albert Wolfe’s article about the shortcomings of CE dictionaries. I have studied Chinese for some time now and have used a number of difference dictionaries. The bad news is that I still haven’t found a good dictionary that can do everything I want it to do, but the good news is that I have found several different dictionaries that among them can handle most of the questions I have. In this article, I will share with you my favourite dictionaries, including why I think they are good, what I use them for and what drawbacks they (all) have. I also hope that you might give me suggestions of dictionaries that might replace those I list below. Note that I’m not looking for dictionaries that can do things that those below can already do well. My goal here isn’t to give you a list of all available dictionaries. In fact, I have tried to keep the list as short as possible (it’s still quite long). This is because I know most learners are after simple and effective solutions. People who really want to explore other dictionaries will do that without my having to write about it. This article about digital resources, so even if I mention offline dictionaries, they are still digital. I haven’t used enough paper dictionaries to evaluate them properly and most learners don’t bother with paper dictionaries today anyway. Cons: The English translations are horrible, don’t trust them more than you would trust Google translate. That’s all for now, I think. If you have any suggestions for how to improve this list by replacing any dictionary with one which is strictly better, let me know! Remember, though, this isn’t an attempt to gather as many dictionaries as possible, but rather to list the best dictionaries for specific purposes. I will keep the list updated as I find better alternatives, please help! Update: I removed Wenlin and added Hanping instead. Wenlin is great, but it’s very outdated and I can’t even use it with what I have available, whereas Hanping is much more likely to help students. I also removed I Cha Cha and added Youdao instead. The latter is roughly a hundred times better than the previous and I blame my previous inclusion of I Cha Cha on plain ignorance. Very interesting, thanks. I’ll propose you another one very useful to follow the pictographic evolution of characters. From 甲骨文. I like that one too. The dictionary doesn’t even work for me, I’ve tried both in Firefox and Chrome. I just get blank results for whatever I put in. At first I thought, 21 dictionaries, that’s a lot! Then after reading I realised I also use about 90% of these. http://www.kwuntung.net/check/ is a nice find, will check this out. I haven’t used it, actually. I heard some people recommend it when I first came to Taiwan more than four years ago, but I haven’t heard a single recommendation since then. Olle, you seem to be focused here on online dictionaries, but for those like me who like or need paper, let me mention A New Chinese-English Dictionary. It’s a yellow hardback with about 11,000 individual characters. Pronunciation of sub-entries is indicated with bopomofo and there are pronunciation (Wade-Giles), radical, stroke count, first stroke (I think), and bopomofo indexes. Probably available at Cave’s Books. Lin Yutang was a pioneer in machine processing of Chinese language; his dictionary in it’s online form is both CE and EC. Great post, thanks for sharing such valuable resources! I’ve added quite a few to my bookmarks for reference later. There’s a fairly new mobile app out that contains entries from the Taiwan Ministry of Education Chinese Dictionary for both Android and iOS called 「萌典」. I wrote about it here. 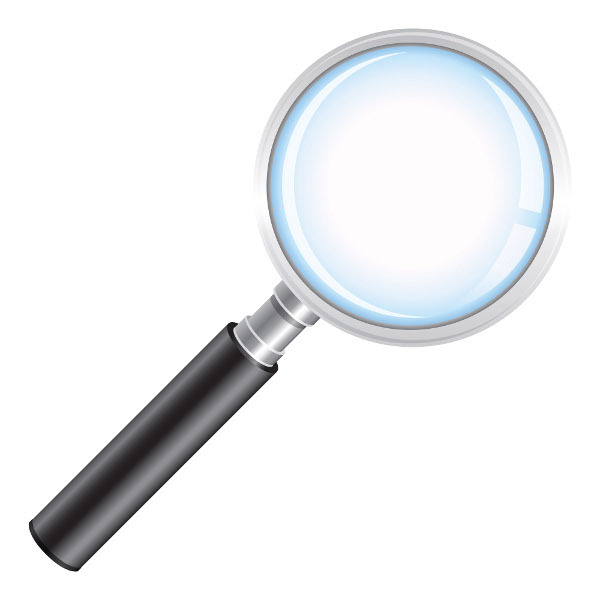 Feel free to take a look, I think it’s quite handy–and it’s free. You can find it by searching 「萌典」 or MoeDict. I’ll check it out, certainly looks good, especially if the offline version works okay. Personally I only use Pleco and Nciku (and Google sometimes). Most of my example sentences come from Chinesepod (from the Expansion feature) and from books/TV shows I’m reading/watching. What about good old Wikipedia? Though limited in it’s usefulness, sometimes I know how to express an idea in English, but an not sure how to express it in Chinese, and it’s not in dictionaries, but I can find it in Wikipedia. One example – I used Wikipedia to find out that the way to say ‘Battle of the Bay’ in Chinese is 灣區大橋大戰 (and a Taiwanese baseball fan later confirmed that this is correct). Yes, Wikipedia should probably be on the list. I’ll wait a while before I make any edits. If I can remove Yellow Bridge, then I can add Wikipedia without having to change the title. 🙂 I use Wikipedia for vocabulary quite a lot, I just forgot to include it for some reason. So useful! I just recommended it to my students on facebook. Thank you for putting this together. Really useful stuff to mine here! Thanks for your generosity in sharing this, Olle. 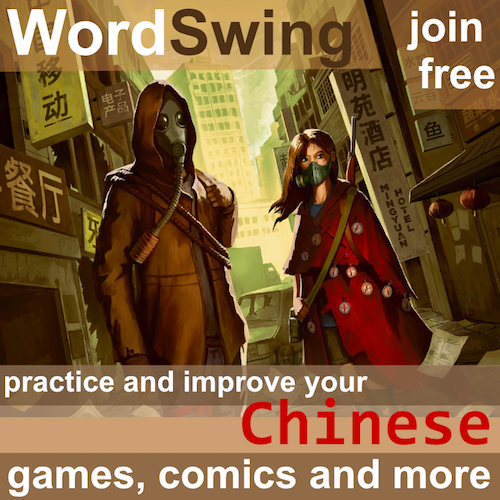 Anyone have suggestions of a good source for synonymns of words, or a thesaurus in Chinese? I normally use the Taiwan MoE dictionary for that. They include near-synonyms and so on. Figuring out which of these synonyms can be used when is different question and a very hard one at that. I have an article planned about that, but it will take some time before it goes online. Thanks for this article, really interesting! Can you explain what’s so groat about tha Xinhua Zidian? It looks fairly limited. It give much less information than Zdic and you can only look up single characters? Why would I use it instead of Zdic? I’m definitely going to include some etymology dictionary, I need to think a bit before deciding which one. Thanks for both your suggestions! Pleco has the best user interface for a PDA, iPhone, iPad, or Android device. Because of this, I care a Palm Zire72 with PlecoDict everywhere I go. If the answer isn’t in one of its dictionaries (it has Oxford dictionaries and others that are occasionally upgraded), you can add terms. The fact that I can keep the device in my shirt pocket, and not in a bag or backpack means that I work with it far more than any other gadget dictionary. I have had several Besta electronic Chinese-English-Chinese dictionaries and no longer will buy them as the user interface is terrible. They just don’t understand how important a good user interface is. You seem to have not listed the lexicons from Tuttle Publishing that have been around for a very long time. And I have few lexicons of Hong Kong origins that seemed to have been created by Catholic institutions. Many of these are very useful for everyday terminology. I am not at my desk, so I can’t provide titles and authors at this time. The Taiwanese approach is different than Tuttle or the Catholics, more academic. Thanks for sharing this list. I’ve never heard arch Chinese before. 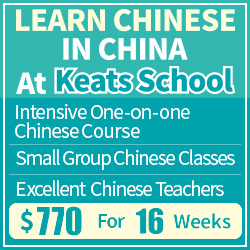 It appears to be a great site to learn Chinese characters. It’s actually quite a new find for me as well, but it’s really good. I especially like that the “see this component/character in other characters” bit is sorted according to frequency. As a beginner, it’s hard to know what to learn when in horizontal learning mode, so this is a great too. It might be useful to collate and publish a list of publishers of Chinese to English study materials. There are a limited number of these. Taiwan seems to have several out of Taipei. University of California at Berkeley publishes. Oberlin Univerisy may have something. The point is that there are far less publishers that there are publications and each publisher has a particular approach to teaching Chinese. Some are very commercial and exploitive, others are very generous and practical. And of course, there is a big division between the Mainland’s Simplified Chinese and Taiwan and Hong Kong’s Traditional Chinese. There are also religious undertones in the publishing world as missionaries that were going to China were a big market for Chinese language studies. This is a good idea and something I might return to later when I actually start teaching normal courses (if I ever do, that is). In that case, I’ll need to check out textbooks myself and that would be the perfect opportunity for this. At the moment, though, it’s probably too inconvenient to get hold of the different materials and it would be hard to agree on a standard against which we can benchmark them. I’ll probably return to this later, though, thanks for the idea! I actually prefer quite a few texts that are out of print and use Abe Books to locate them on a global basis. With the advent of computers and full color publishing, the publishers became very graphic oriented and very greedy. So they added a lot more photos and diagrams and color in order to justify a higher price. They also began to make it necessary to buy the text (that was divided into more and more books), the workbook, the CDs, and maybe even the teacher’s text to get the full content. This had been a disaster for the isolated learner as there has been a lot more fluff in the content, and a much greater outlay of cash. Oxford does something similar with their Chinese-English-Chinese dictionaries. You just can’t buy one with everything in it. In sum, there are good publishers that don’t abuse students and teachers, and there are out of print texts that are actually better than the newer items. One can really learn conversational Chinese faster with an original edition of Tewksbury from Yale than with what Yale is now selling. Sadly it is all about greed for more revene creating unnecessary new editions and new authors trying to survive the publish or perish policy of modern universities. 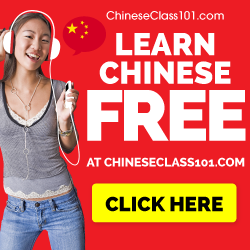 there are some fantastic free windows desktop tools to download from this site http://www.chineselearners.net just go to the downloads page and download the tools, all is free and it is as powerful as a lot of comercial packages. I’m often surprised how Pleco is preferred to Hanping Pro: the latter has a cleaner interface and the preferences can be adjusted to provide only full-form (“traditional”) characters, which I prefer. The provider is also very responsive, although I understand that so is the provider of Pleco. (I also have this, but it’s secondary to Hanping Pro.) The real bugbear with Pleco, though, apart from the apparent inability to exclude the simplified characters, is the cluttered interface – there is just too much screenspace taken up with controls. That’s not a big deal on a tablet, but on a (normal-sized) phone… Of course, maybe I’m fussy, since those of us over our mid-40s or so are more demanding, due to changing eyesight. At any rate, I would definitely include Hanping Pro in a list of useful offline dictionaries. I have never heard of Haming Pro before. But then I started with Pleco many years ago. Regarding crowded controls – where specifically are you finding them too crowded? The bar at the bottom of the search screen can easily be turned off (Settings / Dictionary / Main Screen Interface / Portrait / Show quick input bar), though most people seem to like having it on to save the finger trip up to the search bar. The definition screens in both apps have a toolbar at the top and a toolbar at the bottom. I was a big fan of Pleco back when I had an Android phone, but it doesn’t run on Windows Phone yet. Since there were no alternatives, I decided to craft my own offline Chinese Dictionary (for Windows Phone). 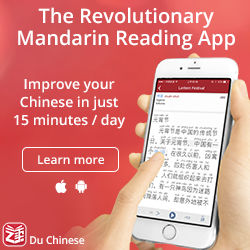 It’s called YiXue Chinese Dictionary, and it has flashcards, study lists, quizzes, stroke order diagrams, handwriting recognition and training, and plenty of example sentences. Also, search results are ordered by frequency. Hope that helps readers with a Windows Phone! Having search results sorted by frequency sounds really cool, but must come with some problems, such as sacrificing accuracy over frequency. Still, i love dictionaries that clearly display frequency of words and characters. This is of course hard for rarer characters and more advanced words, but it’s definitely doable for basic vocabulary. For sure, ordering search results by frequency is not an exact science but we’ve had really positive customer feedback about using this technique in Hanping (on Android). FWIW, we’ve been doing this in Hanping ever since we released it 4 years ago. Massive parallel sentence corpus, word aligned on mouse over, vast, high quality bilingual dictionary. Always fresh because of web mining tech used to find parallel human translated sentences and definitions. How is Wenlin outdated? It is a work in progress and is constantly being improved. I find it incredibly useful. I might be misinformed or simply mistaken, then. The version I used a few years ago looked like it was designed in the 90s and although it provided more etymology and more detailed information on characters, it didn’t provide much that other (mostly free) dictionaries do better. Add that it has to be used on a computer (compared to apps) and that I can’t use it now since I’m running Linux. It hasn’t got OCR and the flashcard system looks pretty basic. That being said, I’m willing to try it out again. I have contact Wenlin and asked if I can get hold of a review copy. Update: At least the Wenlin guys work really quickly, I received what I asked for within one day of sending the first e-mail. Good start! I hope you revise your opinion of Wenlin. The dictionary is based on the ABC Chinese-English Comprehensive Dictionary by De Francis. The update from version 3 to version 4 was a huge advance. I find the idea that it would not figure in the 21 best resources for learning Chinese is incomprehensible. For me it is #1 and I use it for hours every day. Incidentally I find your website and blogs/tweets to be extremely useful. I haven’t started using it yet, but I’d still like to ask you what Wenlin has that Pleco doesn’t. Pleco seems to have most of the features and then some (OCR, fairly good flashcards, Chinese-Chinese dictionary, real audio recordings of words, etc.). As you can see, I don’t list 21 dictionaries in the same category here, so Wenlin is actually “only” competing with Pleco and Hanping (and perhaps some online dictionaries, but probably not, because they are free and available everywhere). I use Pleco on my iPhone and find it very useful. Wenlin is short of examples and Pleco goes some way to making good that deficiency. One thing I like about Wenlin is that the vocabulary items show the frequency and therefore the usefulness of each “word” using letters A through F, based on the HSK listing. As I said, Wenlin is a work in progress and I am sure that in time it will be an unrivalled online dictionary. I notice errors and omissions from time to time and send lists of suggested improvements to the chief editor (Tom Bishop) who is in charge since the death of John DeFrancis. Ichacha.net almost always has the meaning of a word or phrase when I can’t find it anywhere else.